Buying a used car is a great way to save money, get more of the vehicle you want, and indulge in amenities that would otherwise be outside of your budget. For every benefit that buying a used vehicle offers, there is also a negative. While some buyers get turned off from this fact, it is important to understand these cons and how you can protect yourself from the most commonly occurring used car buying issues. 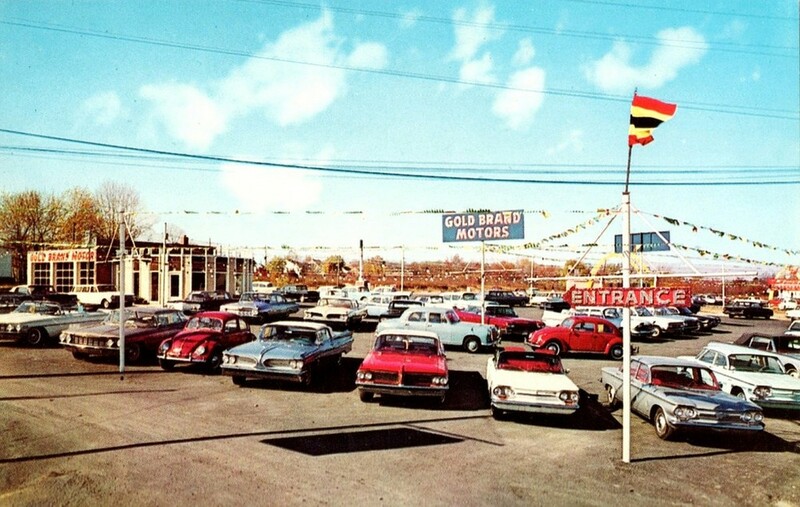 Used car lots have been tricking unassuming shoppers with signs advertising their designation as pre-owned car dealerships, which could not be further from the truth. Rather than become the victim of a car lot that stretches semantic meaning in order to trap buyers, stay well informed and ahead of the fray. While it is true that some used car lots are intent on making a sale without any regard for ethical integrity, it is the job of the consumer to ensure that the money they spend is a worthwhile investment, and not a total and complete waste. The first step in combating shady used car deals, is to understand the most commonly practiced deceptions, and how to recognize them before it’s too late. Take a look at five of these prevalent tricks, and learn how to avoid them. Pre-Owned vs Certified Pre-Owned: This is easily one of the most widespread issues in the used car buying marketplace, and also one of the more confusing areas when it comes to buying a used vehicle. Most used car shoppers are aware that there is a benefit to buying a certified pre-owned vehicle, but many of them don’t know the difference between that, and a simple pre-owned car for sale. Used car lots recognize this fact, as well as the fact that most car shoppers are attracted to pre-owned cars, rather than used. At the end of the day, a pre-owned car is the same as a used one, but buyers often end up spending more than they should. A used car lot that is not affiliated with an automotive manufacturer or brand, is not able to sell authentic certified pre-owned vehicles. Every car brand has its own certified pre-owned program, which ensures that the vehicle is in exceptional used condition, is backed by a manufacturer warranty, has low mileage, and a pristine vehicle history report. Because certified pre-owned cars are given that designation from a certified dealership affiliated with the brand in question, they are not ever available at roadside used car lots. Some of these locations even go so far as to offer a “warranty” on these pre-owned cars, but don’t be fooled. These warranties are not from the manufacturer, and are likely invalid if something truly goes wrong with your vehicle. Rather than take a chance and spend more money than you should, skip used car lots for certified Chevy dealerships that are designated to sell certified pre-owned cars, trucks, and SUVs. Unbeatable Deals! Another common practice in the realm of trickery and deceit is the promise of an unbeatable deal that is “FOR TODAY ONLY!” Buyers who are either inexperienced at buying used cars, or who are timid when it comes to the process, can easily be coaxed into believing this ridiculous promise of exclusive deals. Used car lots are typically smaller operations, that are owned by a few individuals who are always available. They are able to spot buyers who aren’t comfortable with the car buying process, but are eager to get a new car. Any time a used car lot insists that the deal they are offering is only good for one day, proceed with caution. More than likely, the so-called unbeatable deal isn’t that great of a deal to begin with, and will still be there in the morning if you choose to take the night to think your potential purchase over. Don’t give in to the impulsive nature of these used car lots. Instead, inform yourself on the true market value of the car in question, and research the vehicle fully before driving it home. Multi-Point Inspections: Used car lots love to tell you about their 500 multi-point inspections, and how their used cars are the best available. High multi-point inspection numbers seem impressive, but are often over exaggerated for sales purposes. This area is another where a certified pre-owned vehicle comes into play. A general used car lot can claim that their vehicles undergo a multi-point inspection, but absent of any manufacturer regulations – what does that even mean? A used car dealer can pop open the hood, for example, and see that there is an engine. Check one –complete. Do the door handles work properly? That checks off four more inspection points that the used car dealer can include in his or her “multi-point inspection.” A certified pre-owned dealership like DePaula Chevrolet must follow a process put into place by General Motors, and will only certify vehicles that meet and exceed all of those guidelines. When a used car lot makes outrageous multi-point inspection claims, ask for evidence. After all, the proof is in the paperwork. Extended Warranties: If a used car lot offers you a so-called “extended warranty,” be wary. The term “extended” implies that it comes from the manufacturer itself, which is not possible unless the dealership in question is affiliated with that particular brand. Typically, these warranties are supplied by the used car lot, and don’t hold up when real issues arise. The only way to ensure that your vehicle (and your money) is protected, is to buy a certified pre-owned car from a brand name dealership. If any other dealership claims that their used cars come with a comprehensive warranty, trust your gut and walk away. Fastest Selling Model On the Lot! Another worthless claim made by used car lots is that a model is somehow selling like hotcakes, and unless you buy it at that very moment, you will miss out on a potentially incredible car. The fastest selling model in the west routine is as old as car dealerships themselves, yet used car lots still rely on it to trick buyers into making a rushed purchase. If the model in question is indeed as popular as the sales associate claims, then you will have no problem finding it at a dealership that is actually reputable. Avoid these common used car lot scams, by purchasing your next used car from a certified dealership like DePaula Chevrolet. Protect yourself and your wallet by remembering these common tricks, and by shopping at reputable brand-affiliated dealerships.